The country’s maritime industry got a boost July 25 with the decision by sea safety and support company Svitzer to open its Regional Training Centre in Freeport, Grand Bahama. With a reported 4,000 plus employees, a fleet of more than 400 vessels and operating all over the world, Svitzer is said to be a global market leader in towage and emergency response. The firm is head-quartered in Copenhagen, Denmark, and it is part of the A.P.Moller-Maersk Group. The Training Centre, located at Logwood Road, features one of the most complete navigation simulators in the region, with stations for assisted ships and two harbour tugs. The simulator has been developed by FORCE Technology of Denmark, and deployed by Svitzer in close cooperation with Freeport Harbour Co and Mediterranean Shipping Co. According to a spokesman for the company, the Training Centre and its simulator represent another step in Svitzer’s commitment to enhancing safety and drive operational excellence in harbours and terminals in the region. 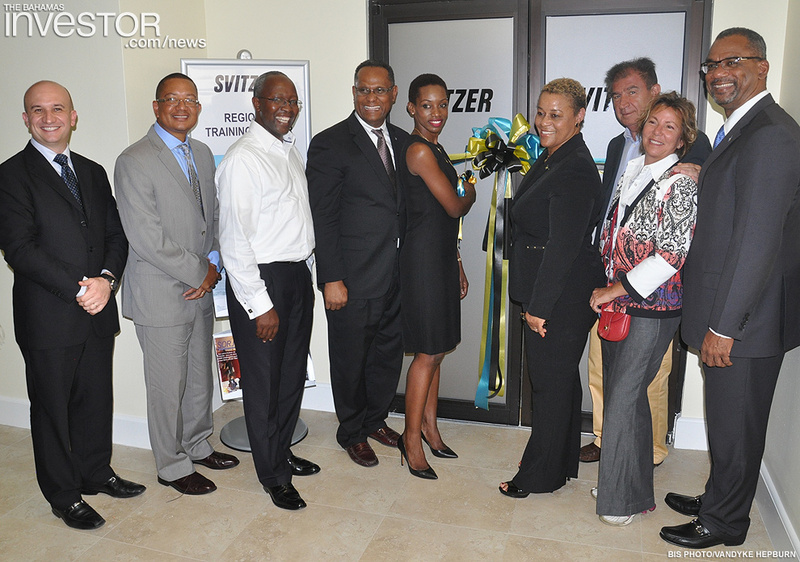 Education, Science and Technology Minister Jerome Fitzgerald, Grand Bahama Minister Dr Michael Darville and Hope Strachan, Minister of State in the Ministry of Transport and Aviation were all in attendance for the official opening and applauded Svitzer for their efforts. Dr Darville noted that the investment means that Grand Bahama will now be home to the latest navigation simulator stations used to train marine pilots and tugboat captains from around the world by exposing them to real-life situations in a safe maritime environment. 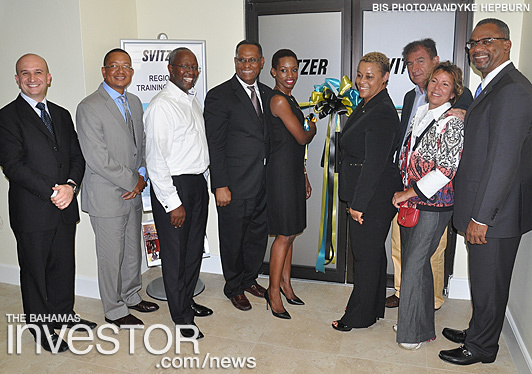 “I am pleased that Svitzer has made the decision to establish this training facility on Grand Bahama, which will be advantageous for our growing maritime sector and local residents,” he stated. The Minister for Grand Bahama also stressed that, with the proposed expansion of the College of The Bahamas (COB) maritime programmes outlined by the Minister of Education, he is certain that COB will develop a close working relationship with the internationally accredited regional training centre. “I am a firm believer that if we equip our young people with the necessary skills and certifications to meet the present and future demands in the various sectors of our economy, we will see a continual decrease in our unemployment statistics,” he added. “Nevertheless, the launch of this Regional Training Centre will add another important dimension to our maritime industry,” he stated. State Minister Strachan noted that with the ship repair facility (Grand Bahama Shipyard) and the Freeport Harbour has the makings of a maritime hub unequalled in the region. “It is therefore a natural fit that Svitzer would choose Freeport to anchor its training institute. This will serve not only burgeoning young Bahamians but the entire region,” she stated. She said the Ministry of Transport and Aviation is committed to fostering a culture of safety, and they recognize that training is one of the most critical components to achieve that goal. She said that trainee’s exposure to international standards of operation and best practices is the best way to ensure productivity and efficiency in the maritime industry, and more importantly it ensures safe environments. The opening of this operation is mutually beneficial to the maritime industry in the Commonwealth of The Bahamas and to Svitzer as this operation and all who train here enhances and increases safety at sea for all people involved in the maritime industry,” she said. She also pointed out that the country has and will continue to make significant strides in the maritime industry to secure its place on the global stage, which has led to significant thrusts in maritime training through the Maritime Cadet Programme. Education Minister Fitzgerald said he and the Government of The Bahamas support private/public partnership and is fully supportive of the Ministry for Grand Bahama and the people of Grand Bahama and looks forward to working with the various companies and agencies to further develop the country. Tax reform efforts by the government are gathering speed, as Minister of State for Finance Michael Halkitis looks to introduce a 7.5 per cent value added tax later in the year. Watch a ZNS Network news interview with Halkitis here. BTC is set to invest millions in telecommunications on the Family Islands, according to Leon Williams, chief executive officer of BTC. Watch a ZNS Network news interview with Williams here.